Smart and sophisticated, the new Volkswagen Arteon is an elegant saloon that brings a touch of luxury to business and family life. Offering a wealth of driver assistance technology coupled with contemporary styling features and a cutting-edge engine range, it pushes the boundaries of modern vehicle design. The Arteon’s expressive exterior comprises a fastback-style roof and sweeping curves which give a sense of continuous motion. Slender headlights and a chrome plated grille lend a purposeful attitude to the front end, while athletic lines and frameless side windows make for an aerodynamic profile. The ‘intelligent windows’ are specifically designed to ensure door seals aren’t damaged when you and your passengers enter and exit the car, and chrome surrounds add a premium feel. With ten exterior colours to choose from, you can select the perfect option for your lifestyle. Step inside and you’ll immediately notice the luxurious accents that enhance the cabin’s comfy yet classy ambience. Nappa leather trim comes as standard, and the driver’s seat adjusts in six ways for optimum comfort on every journey. At the wheel, you’ll find clearly arranged controls within easy reach and excellent all-round visibility to make driving simple and stress-free. Thanks to Volkswagen’s innovative design, there’s ample space to accommodate your passengers and luggage too. Both front and rear passengers will have enough room to relax, while 563 litres of boot space means you can fit all the essentials in effortlessly. Whether you choose the new Volkswagen Arteon for professional or personal use, you’ll enjoy the wide range of technological features that make travelling convenient and comfortable. Air conditioning keeps the cabin at the perfect temperature, while ambient lighting provides a calming atmosphere when out on the road. The Volkswagen Arteon also comes with the very latest 8-inch touchscreen as standard, which incorporates Discover navigation and Car-Net App connectivity. Alternatively, opt for the 9.2-inch Discoverer Pro system, which features gesture control that enables you to navigate the functions with a single hand movement. Wherever the road takes you, you’re guaranteed a relaxing journey. Three petrol and two diesel engines are available to choose from, enabling you to select the ideal unit for your preferred driving style. Top of the range is the 2.0-litre TSI option with 280PS and 7-speed automatic transmission, which performs a 0-62mph sprint in only 5.6 seconds. You can also expect the trademark handling and roadholding of Volkswagen’s premium saloons. With a supple chassis, the new Arteon absorbs bumps to deliver a smooth ride, while responsive steering makes city streets and country roads simple to negotiate. A host of new assistance technologies grace the Volkswagen Arteon, making every journey safer and more intuitive. For example, the Adaptive Cruise Control incorporates speed assist and curve assist, collecting information from the front camera and route navigation data to adjust to speed limits and predictively modify the vehicle’s speed before bends, roundabouts and junctions. There’s also a Lane Assist function, which helps to prevent accidents that are caused by drivers inadvertently wandering into the next lane.  This is supported by the optional Emergency Assist with New Lane Change, a system that can determine if the driver is incapable of driving and – traffic permitting – bring the car to a controlled stop in a safe place.